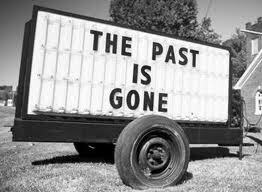 Myss Lafunky's Blog: Are You Dwelling On Your Past Mistakes? Thank God for this new week. I'm glad that God has kept you alive. Now, give God a smile. Enjoy this article that I wrote for a Christian women's group. There's a post on the blog that links to to this week's write-up. Click here for the previous post. As a child, Rita was a chronic liar. She grew up lying about every little thing. She continued in the habit of lying for decades. Though Rita had given her life to Christ at the age of 22, she could not stop lying until she was convicted of the habit by the Holy Spirit at the age of 28. Because of her experience with the habit of lying while growing up, Rita became worried that her children were going to turn to chronic liars. So, from the tender age of six months that her first daughter, Josephine, was born; Rita used biblical stories and age appropriate toys to teach her daughter the importance of honesty but when Josephine started pre-school, various reports were sent to her mum and dad by the pre-school staff that she was in the habit of lying. These reports became regular as the staff grew weary of Josephine's habitual lying. Whenever such reports about Josephine's behaviour came, Rita remembered her childhood experiences when she used to lie and the Devil constantly tortured Rita by saying that Josephine's lying habit was going to deteriorate as Rita was reaping what she had sown as a child. With that constant thought in Rita's mind, she began to pray regularly for her daughter, yet, Josephine's attitudes toward lying did not change. Rita prayed so earnestly that she could say that her sweat became like drops of blood falling to the ground as was the case of Jesus when He prayed on the Mount of Olives but it all seemed to be to no avail. During one of their family devotion times, Rita, her husband and Josephine gathered in the living room for prayers and the moment they opened to their devotional book, the Holy Spirit told Rita and her husband to open to 2 Corinthians 5:19 which says : "It was God [personally present] in Christ, reconciling and restoring the world to favor with Himself, not counting up and holding against [men] their trespasses [but cancelling them], and committing to us the message of reconciliation (of the restoration to favor). (2 Corinthians 5:19 AMP)"
The Holy Spirit told Rita that He had cancelled her sins the very moment she was convicted of her sins and all her sins were forgiven, and that He does not remember her sins anymore (Isaiah 43:25, Hebrews 8:12). The Holy Spirit further reminded Rita and her husband that Josephine's habit of lying was not unusual as it is written in Proverbs 22:15a that children just naturally do, careless things and consistently teaching them the way of the Lord and praying for them would remove the silliness. After the Holy Spirit had explained everything to Rita and her husband, it was as though a weight was lifted off their shoulders. Can you relate with Rita's story? Jesus Christ is telling you that: "I have blotted out your sins, because of my love for you, I have forgotten it all. I have not accused you of them and I would not accuse you of the past." Just as Paul was formerly a blasphemer, a persecutor, and insolent man; but he obtained mercy from God because he did it ignorantly in unbelief and the grace of the Lord was with him (1Timothy 1:13/14a). God's mercy and grace will also be with you. Christ has given you power over all things, over sickness, over your minds, over forgiveness and over fear. Believe it, confess it and live that life. One of the best ways to know who you are in Christ is continuous study of the Word of God. Also, taking out time to study the attributes of Christ. Start your week by remembering that Christ has wiped out and cancelled the record of charges against you by nailing them to the cross. From now on let no one trouble me, for I (insert your name) bear in my body the marks of the Lord Jesus Christ.